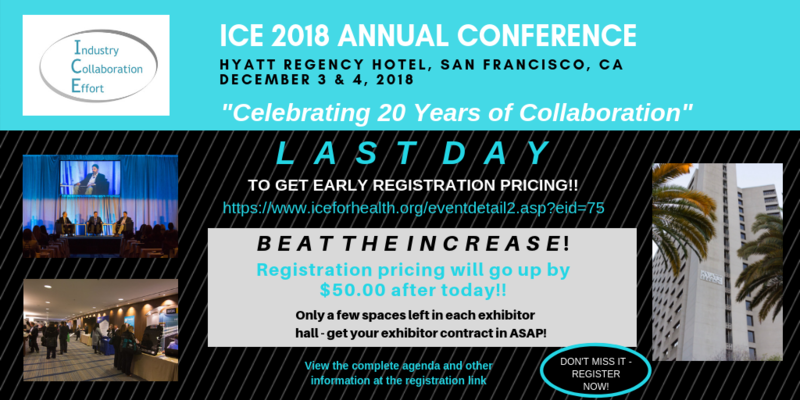 ICE 2018 Annual Conference - Last Day for Early Pricing / One Week Left for Discounted Room Block! Subject: ICE 2018 Annual Conference - Last Day for Early Pricing / One Week Left for Discounted Room Block! If you have any questions about the conference, please contact admin@iceforhealth.org.